FRIDAY, NOVEMBER 13, 2015 (6pm ET/3pm PT). It’s an hour of re-envisioned storytelling and time-saving tips. One Life to Live hunk David A Gregory talks about his new audio drama, Powder Burns. And Lyndsay “The Kitchen Witch” Wells has tips to make your Thanksgiving cooking faster and easier. 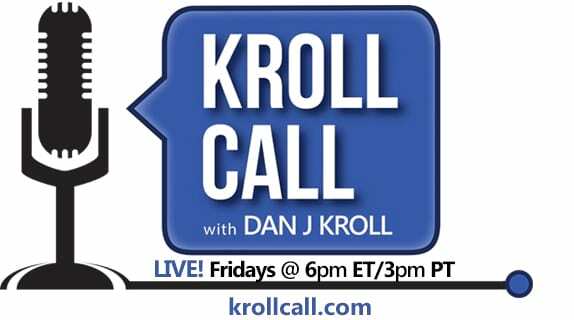 Kroll Call is hosted by Dan J Kroll. David Gregory was a fan favorite during his run as Robert Ford on the long-running soap opera One Life to Live. Now, he’s the writer and producer of a new drama series — but it’s a modern take on the way soaps got their start: an audio-only format. David explains how the idea for the western drama “Powder Burns” came to be, and he’ll share how Powder Burns went from idea to a multi-episode series.